It was great to see our First Lady out working for the health and well being of our children with her Let's Move initiative, as her husband works for us with his focus on affordable health care for all and JOBS! Now this is the way to get our kids moving, help them have fun. The USTA put fast start courts in one of the parks I grew up in, Astoria Park. If we are going to get more Americans in the tennis top 100 we have to give them access to the game. 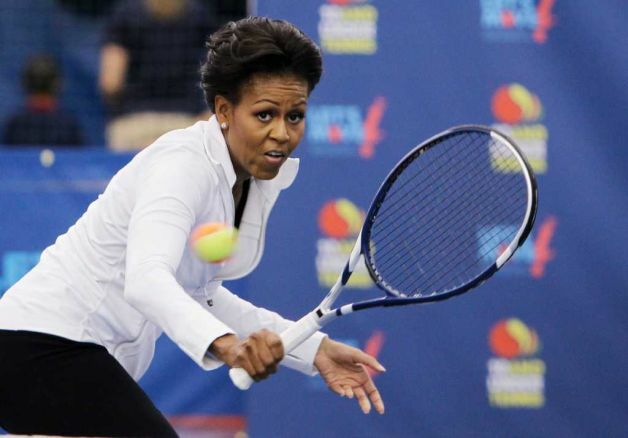 Mrs. Obama has commented on the fact that she did not get into tennis until after collage because most kids in her neighbor hood had no access to tennis. Like in my hood, Basket ball, football and baseball were the fields we had access to. I had a big park across the street from my home but not one tennis court in it. Good to see that changing. 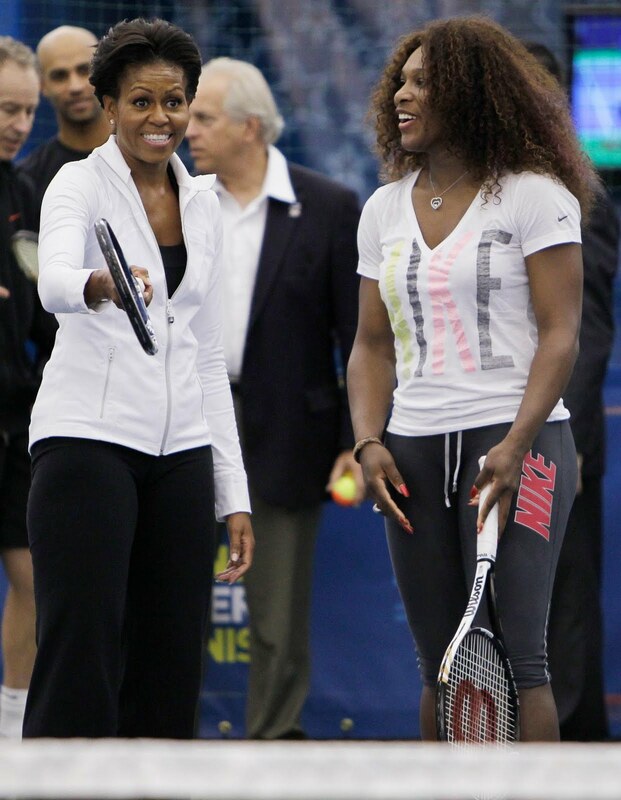 The Williams sisters demonstrate that America can dominate in tennis on the world stage if we focus. We need to out build tennis courts, out educate our children in tennis, health and fitness. So they can win their health and our tennis future. Michelle Obama is easily the fittest and most active First Lady in my life time and maybe the history of the nation. Her, her husband and their children are outstanding examples of the balance between health, fitness and mental alertness. It is good to see that our First Lady has her eyes on the prize. 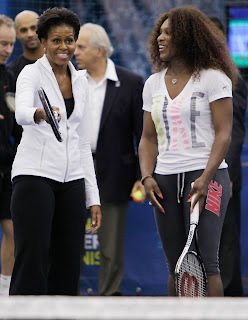 Will Serena win the 2011 U.S. Open? You can bet the First Lady like me and a big chunk of America and the world will be watching. See you at the Open! Well, Serena is in the final, so tomorrow will be a history making day in Queens. Kenyan and Ethiopian Marathon Battles Heat uP! The Black Hair Care Business is Dead. 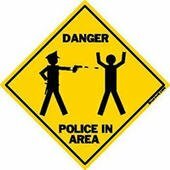 GOP Attack AA Voting in Slave States.